Digital transformation starts and stops with the customer. 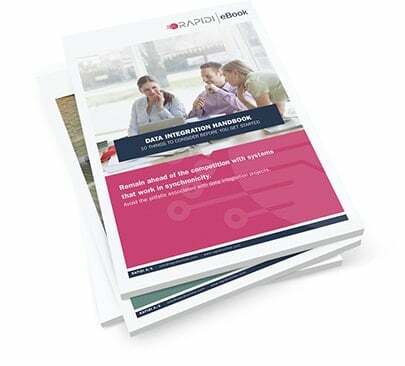 To support their growth and evolution, most companies with a little bit of ambition have implemented a number of systems to help them store, manage and use information. Very often, each department of a company would use a system specialized in their needs, for example finance would require an accounting system, production a warehouse management system, service would need a call center, while sales and marketing would benefit from a CRM system. So far so good, and definitely a very good first step in companies’ digital transformation process. But when different departments or divisions of a company don’t share the same system, they do not share information. This usually results in duplication of efforts, lack of synergy and missed opportunities. The next logical step in a digital transformation is then to identify and start correcting the problems silos have caused and re-open the lines of communication in the company. A 360-degree view of the customer is a single, end-to-end picture of a customer’s journey and their full experience with a company. It is what allows companies to deliver a perfect customer experience. Today, a 360-degree customer view is not just a dream, it has become a strategic goal in many organizations. Ultimately a successful 360-degree customer view is one that is built over time, based on data and fed into across departments to provide a holistic view of your customers. Therefore it requires integrated systems across departments and divisions. Declarative data: this is what the customer tells us about themselves, by completing forms for example. Behavioral data: what they did on a company’s site, where they clicked and how they navigated from page to page, how often they place an order, do they pay in time, what type of product they usually purchase, etc. This information can be stored many places, from CRM systems, to ERP system, accounting systems or simple spreadsheets. Inferential data: this is what we can expect them to do or expect next, thanks to lead scoring, intelligence prediction, Artificial Intelligence. This is all about expecting the next move. It is first when you can access and combine all data types that you can get truly interesting insight. In order to have a full 360-degree customer view and make good use of it, you need to make all 3 types available to any person having interaction with your customer at any time. This is where it becomes essential to be able to integrate your different systems. Companies with disconnected systems suffer greatly from lacking a 360-degree view of their customers. I’ve seen service agents having to search and find information in four different systems, on 2 or 3 different screens. They become ineffective, unhappy and not really motivated. They need to be trained in many different systems, which makes them very difficult to replace, and they constantly have to switch from one system to the other, copy and paste data with the risk of making mistakes. But where they lack the most is probably in the capability of performing precise segmentation. Because customers expect tailor-made communication and offers, segmentation has a crucial part to play in the future of marketing activities for companies. The more information you have in one place about your customers, the better you will be able to differentiate and personalize offers and deliver communications that will respond to their needs. You can only get this via systems integration. The future of marketing is extreme segmentation and providing superior unique experiences; and segmentation is all about personalization, and personalization cannot be done without end-to-end data integration. 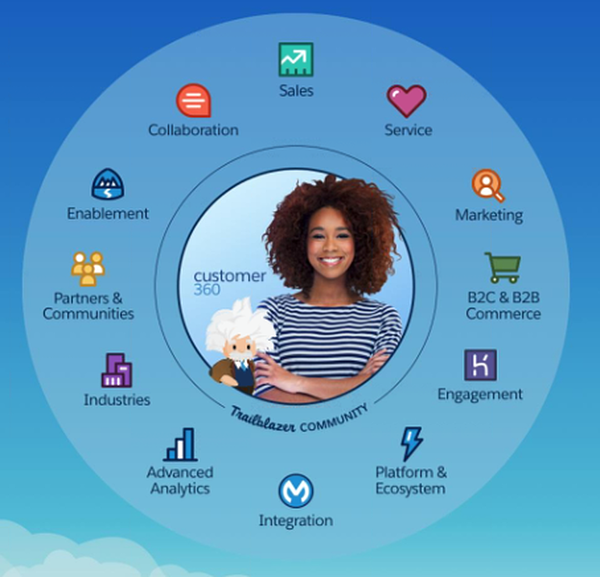 Salesforce has just launched Customer 360, with a wish to integrate all of their customers’ data – a solution that is designed to sit in the middle of all of Salesforce's ecosystem. If you are not having all your data in various Salesforce solutions, you can still turn to data integration solutions and platforms that can solve this problem for you. Now, just the term “data integration” can scare many leaders. But the good news is that, today, data integration does not have to be complex and painful. With a solution such as RapidiOnline, integrating your ERP and CRM systems, for example can be done in a fast, simple and affordable manner. Read also: Should data integration be so complex? How to successfully integrate your systems?